This look was inspired by a mix of two looks that Rasheeda wore on both reunions for Love & Hip-Hop: Atlanta. I filmed a tutorial to go with this look but Windows Movie Maker refuses to open on my laptop, I have no reason why. I was very frustrated because I spent four hours downloading updates for it to work. If you guys have any suggestions to make it work please share them or if you know of any other video editing software so I can have this tutorial up. 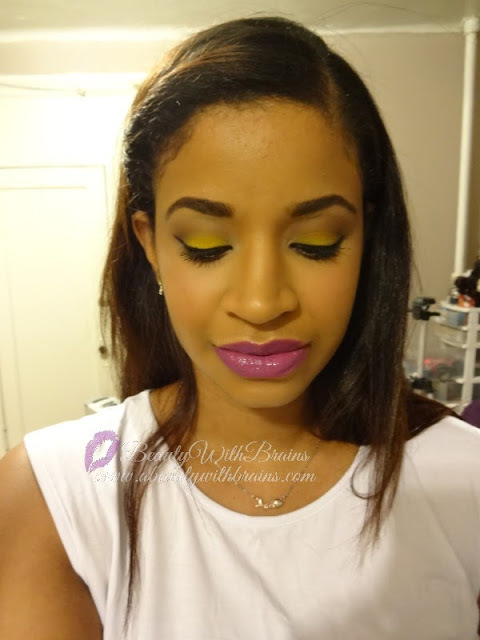 I combined the yellow eye look Rasheeda wore to the first reunion with a purple lip. She had a purple lip for the second reunion with a chartreuse-colored eye. So I combined them both and made the purple lip a little more vibrant. Hope you enjoy! MAC Mineralize Skin Finish "Rio"
Wet n Wild Fergie Gel Liner "Black"
Jordana FabuBrow Brow Pencil "Dark Brown"
Revlon Color Burst Lip Gloss "Lilac Pastelle"
One of my favorite summertime activities is dining al fresco. And I love to drink sangria while eating. It is such a delicious drink. I had the most amazing guava sangria not too long ago and I was mesmerized by the color of it. It had a pink tinge to the deep red color and I was dying to find a lipstick that color. I thought it would be such a great lip color for the summertime, something different from all the brights that we are used to seeing. And the pink in it keeps it from looking to dark, I think. 1. As always, start with clean, moisturized lips. You don't want cracks and dryness. 2. 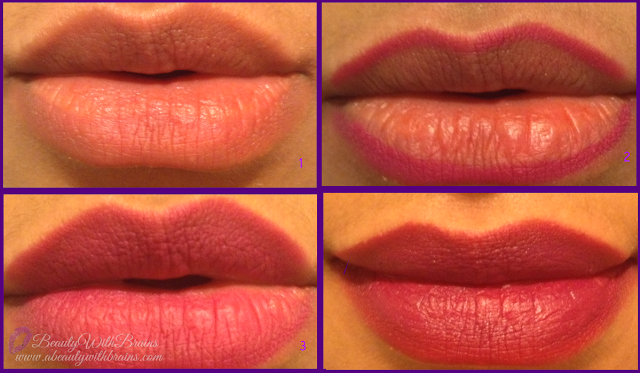 Line your lips with a fuchsia colored lip liner. 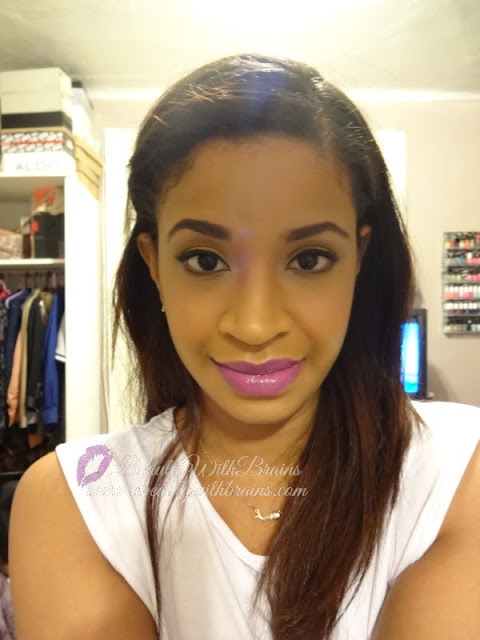 I used NYX slim lip pencil in "Fuschia". 3. Fill in your lips with the Fuchsia lip liner. 4. Apply a rich red lip color over the lip liner. 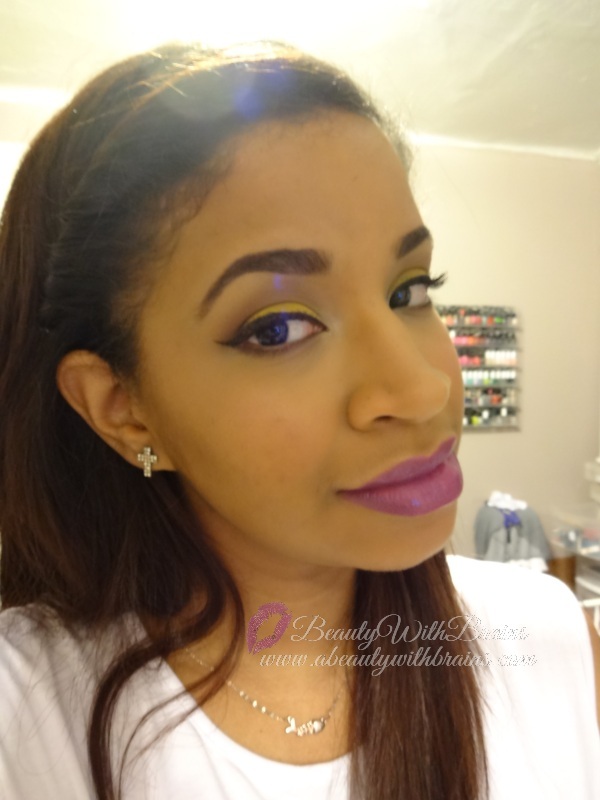 I used the appropriately named "Sangria" by Milani. I added the pink to get the guava-sangria color I was going after.